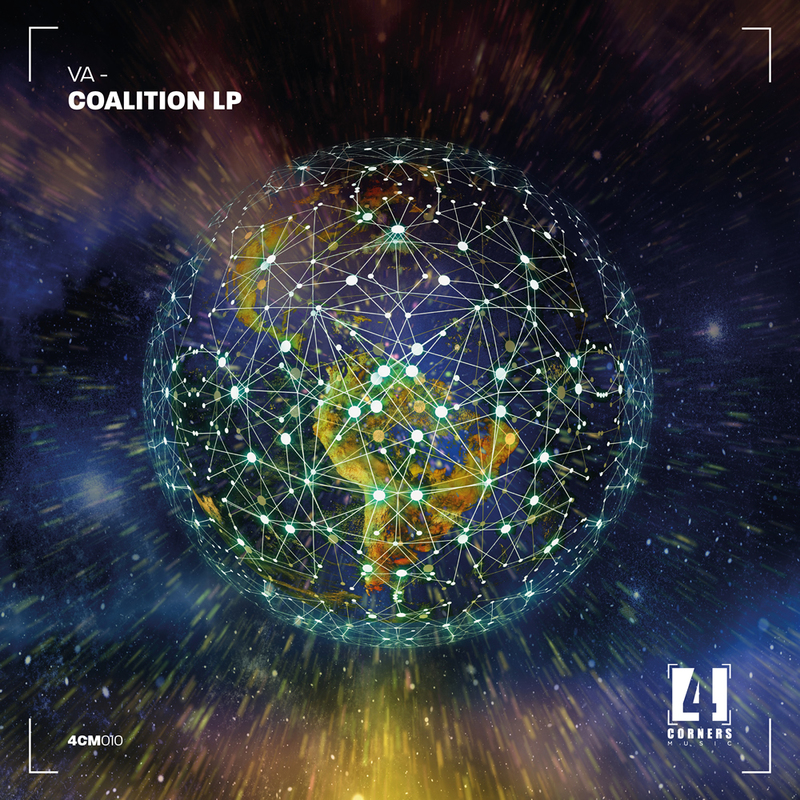 For their 10th release on Four Corners Music they are celebrating the milestone with a new various artists album, ‘Coalition LP’! The album features 15 tracks from artists both new and old to the label, including a track from the label boss himself, Melinki. The album features music from all corners of drum & bass, true to the labels philosophy. Kicking off proceedings is a track from Klinicial, ‘Without U’, a stripped back tech track with crisp percussion and serious production. Next we have Hadley with ‘Stand Alone’, supplying the rough & toughness from the tech corner of drum & bass. Then we have Koax coming through with a frenetic technical dancefloor workout called ‘Shine’. Fresh from the Tunnel Vision EP comes Sublimit with another banger in the form of ‘Between The Lines’. Label boss Melinki collaborated with Low:r to bring us ‘Never Change’, injecting some funk & sunshine vibes into the release. Ashram adds to their Four Corners releases with the beautiful ‘Missing Stations’, mystical tones on this one taking you on a journey. Then we have OaT x KcA, newcomers to the label, providing the excellent ‘Ohm’ – nasty, nasty reeces and madness on the percussion the order of the day here. next up Sam Harris comes through with ‘See’. This release also features tracks from Marcus Tee, Monument Banks, Embers of Light & Cryteria. All in all, this is a solid release from some great artists and it features a nice veried selection of tracks from all Four Corners of the drum and bass spectrum. The Coalition LP is definately one for the basket! This release is a Beatport exclusive from 4th March then available on general release from 18th March 2019.